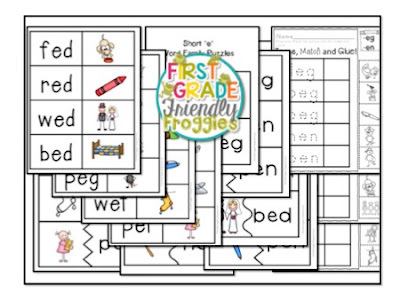 I've been working hard getting ready for my new little class of First Graders! I'm getting so excited to meet my new group. I'm planning some fun activities for the first few weeks and I've been creating and planning my word work tubs for the first part of the year! 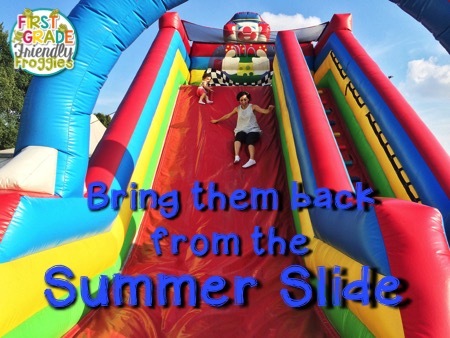 I want my kiddos engaged in hands on activities right away! I like to start teaching routines, procedures and expectations as soon as possible. And, we all know that those little first graders come to school ready to do some first grade work! They are excited to learn...one of MANY reasons I LOVE teaching first grade! 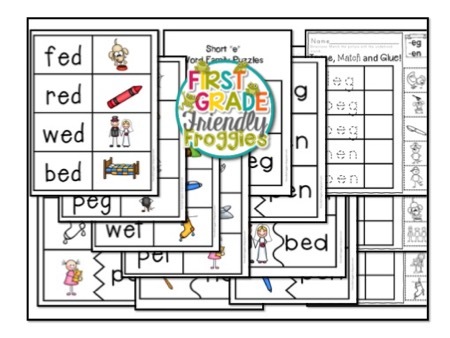 Most First Graders will have mastered letter sounds in Kindergarten, but this makes it the perfect concept to review while teaching procedures. It also gives me a quick look at who may need interventions or a little more reinforcement! 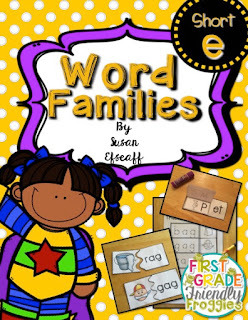 These activities are intended for an interactive "Word Work" book. 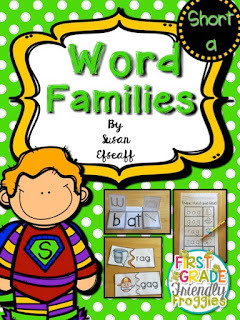 I plan to have my kiddos use a composition book that has been cut in half as their "Word Work" book! I like using the half size, not only because I get twice as many, but it's less "white" space for the kids. 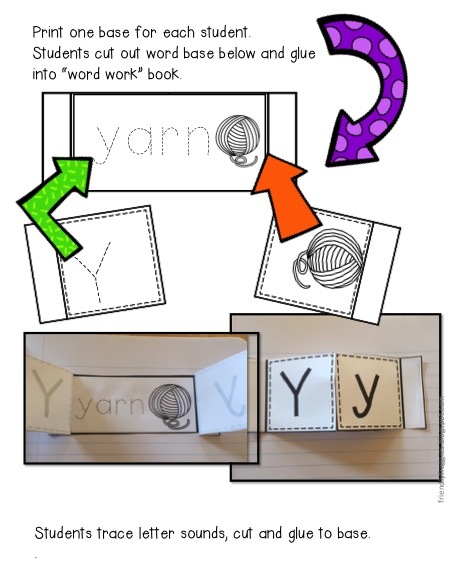 These word work activities are intended to be completed quickly and reinforce the concept. 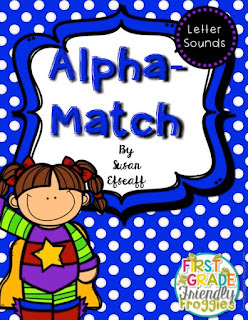 After thinking about how I could make this word work activity meaningful for my kids, I started creating the Alpha Match resource. 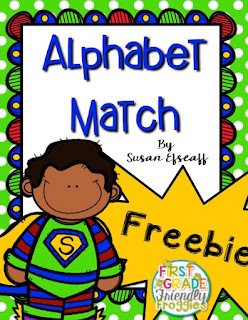 This resource not only reinforces letter sounds, but provides opportunity for letter formation. Reviewing letter sounds is such a great way to build confidence while refreshing this important skill. 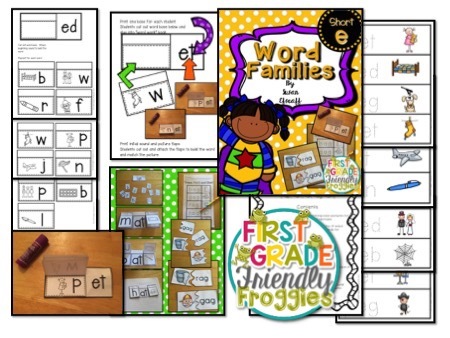 I've created a resource packet for each short vowel / word family! Click the image below to download a free sample of this product!